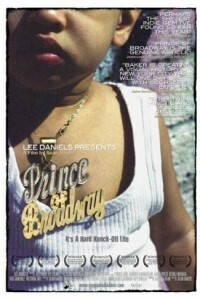 “Prince of Broadway” is the story of Lucky and Levon, two men whose lives converge in the underbelly of New York’s wholesale fashion district. Lucky, an illegal immigrant from Ghana, makes ends meet by soliciting shoppers on the street with knock-off brand merchandise. Levon, a Lebanese immigrant, operates an illegal storefront with a concealed back room where counterfeit goods are showcased to interested shoppers. Lucky’s world is suddenly turned upside down when a child is thrust into his life by a woman who insists the toddler is his son. While Lucky copes with his new domestic dilemma, Levon struggles to save a marriage that is falling apart. The seedy side of the wholesale district is revealed through a journey that continually confronts the interplay between what is fake and what is real. Set in the shadow of the Flatiron building and soaked in the colorful bustle of Broadway, the film is as much a brutal drama as it is a tender comedy. Shot in a fast-paced guerilla style that is akin to the hustler lifestyle, the film reveals the lives of immigrants in America seeking ideals of family and love, while creating their own knock-off of the American Dream.